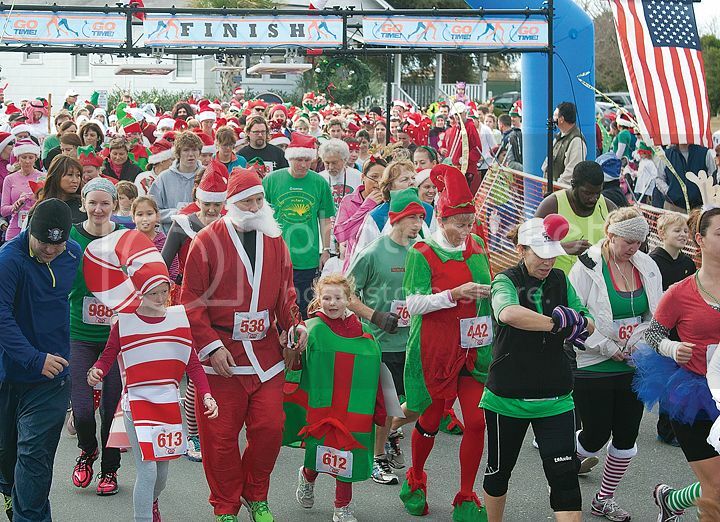 The Wrightsville Beach Museum presents the Jingle Bell Run 5K, which encourages race participants and spectators to dress in holiday apparel (i.e. Santa costumes, antlers, snowmen, etc.). Prizes for Best Overall Holiday Costume, Best Group Holiday Costume, Best Family Holiday Costume, and Best Pet Costume.